Dried olives, mangoes, raisins and raw walnuts. I have been adoring medjool dates of late, which have turned my tastebuds up to full volume in craving dried fruits. Cue the search for preservative-free dried fruits that don't cost a ton. Enter By Nature and Tierhoek. 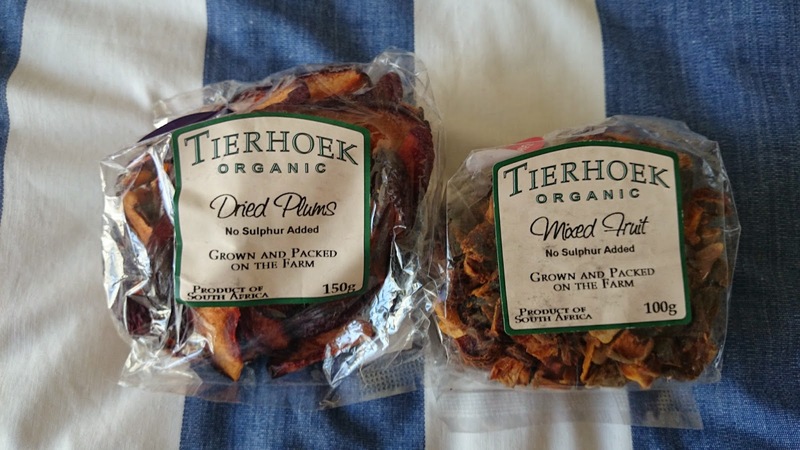 Tierhoek I've known and loved for a while now (OMG their dark chocolate covered apricots! ), but By Nature is new to me (maybe not so much to Capetonians). I just got my stash delivered from the online shop Faithful-to-Nature and called the supplier to make 100% sure there are no preservatives in the fruits. Peter assured me that they cater for the preservative-free demographic (aka. those people who hack and cough-up their pleura/turn red/whose throats close-up/who have asthma/etc. who are allergic to preservatives). In addition, most of their products are organic as well. Bonza! 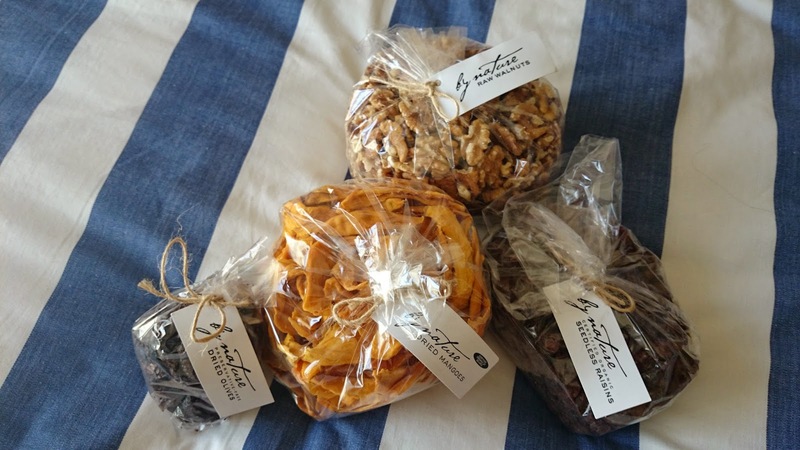 Honest to goodness preservative free dried fruits! I've started-in on the dried mangoes. I don't know if I will be able to stop. Deeeeelish! Dried plums and mixed fruit (apples, peaches, apricots and such).